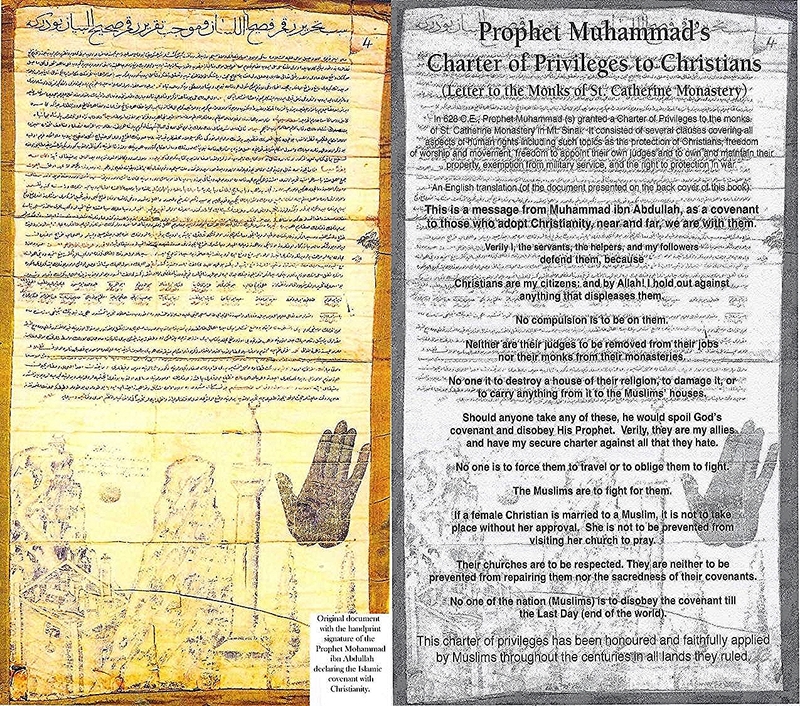 In 628 AD, a delegation from St. Catherine’s Monastery visited Prophet Muhammed and requested for protection. 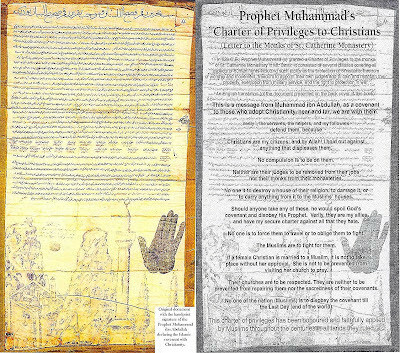 The Prophet responded by granting them a charter of rights - copied below. St. Catherine’s Monastery is located at the foot of Mt. Sinai and is the world’s oldest monastery. It possesses a huge collection of Christian manuscripts, second only to the Vatican, and is a world heritage site. The original letter was taken away in 1517 by the Turkish Sultan Selim I and is now in the Topkapi Museum in Istanbul, but the sultan gave the monks a copy of it and sanctioned its terms.